A black belt on carate – it is a goal that tries to achieve one who is engaged in this type of martial arts most of his time and effort trying to achieve perfection. To get a black belt, you need to be not only well prepared physically, but also "grow" to the title of master spiritually. There are certain standards that run on the exams to get a black belt. 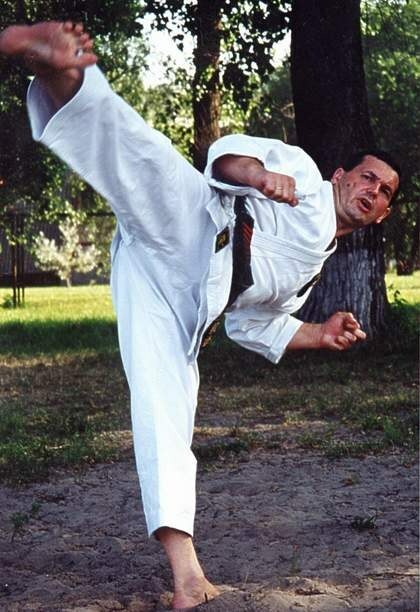 How to get a gold card "Rive Gauche"
Get ready for the exam to obtain a black belt in karate, if you are over 14 but not more than 35 years of age, you have the title "Master of sports of Russia", are a champion or medallist in Kumite and kata at regional and national level. These are the conditions that must be adhered to by the applicant. However, the exam can participate in the masters over 35 years, having a team of students and leading an active organizational work. Think before taking the exam, are you ready spiritually to receive such a high evaluation of his skills. If you've upgraded from all bad things could get, well if you own your condition, both the body and the spirit? If you decide that you are ready, you can apply an appropriate sample for the exam to obtain a black belt. - kicks – Kake-Gary kakato (tudan, jedan), Kake-Geri touzoku (tudan, jedan) and Ushiro mavasi-Gary (tudan, jedan, Gadan). Prove their ability in Kumite (30 fights), kata, renraku (return and cover). Show your skills in tameshiwari that is obligatory breaking in Saken. Execute arbitrary breaking, in which you can best succeed. Complete all the mandatory exercises: press 60 times in Seiken, press 10 times on one finger in position "on his knees" while holding the end position for 15 seconds, run 150 UPS, 100 sit-UPS. Get the coveted black belt in the case of a great exam and increase your level of new Danes.